Highly doubtful occurrences reported by A.W.G. 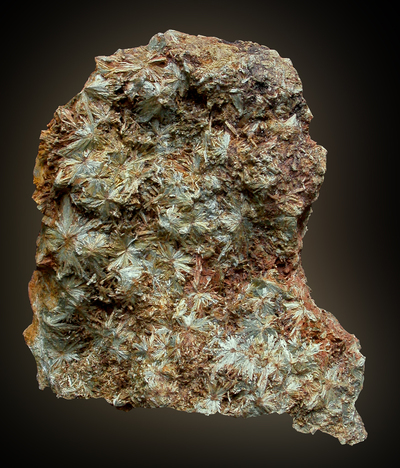 Kingsbury from the Meldon aplite are brandtite, chrysoberyl, danburite, euclase, eucryptite, eudidymite, leucophanite, milarite, priceite, rhodizite, and spodumene. Reference: McLintock, W.F.P. (1923) On the Occurrence of Petalite and Pneumatolytic Apatite in the Meldon Aplite, Okehampton, Devonshire. Mineralogical Magazine, vol. 20, n° 103:, 140-150.; von Knorring, O., and Condliffe, E. (1984) On the occurrence of niobium-tantalum and other rare-element minerals in the Meldon aplite, Devonshire. Mineralogical Magazine, vol. 48, n° 348, 443-448. Reference: von Knorring, O., and Condliffe, E. (1984) On the occurrence of niobium-tantalum and other rare-element minerals in the Meldon aplite, Devonshire. Mineralogical Magazine, vol. 48, n° 348, 443-448. 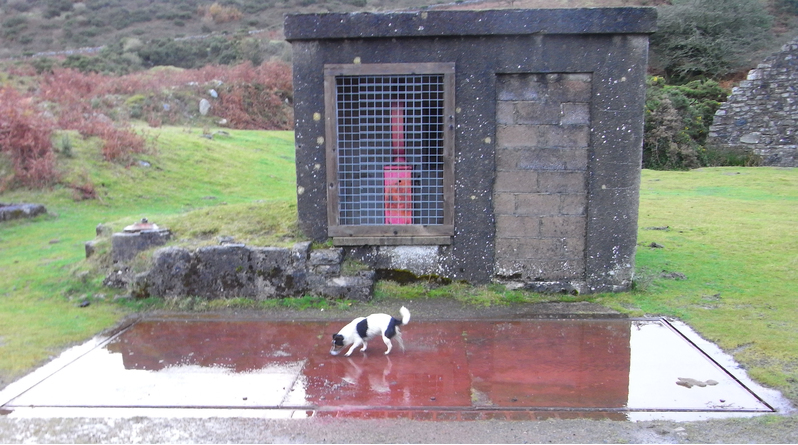 Reference: http://johnblanchard.net/index.php/some-sites/226-meldon-aplite-quarry-sssi; von Knorring, O. and Condliffe, E. (1984) On the occurrence of niobium-tantalum and other rare-element minerals in the Meldon aplite, Devonshire. Mineralogical Magazine, 48(348), 443-448 (referring to Kingsbury). 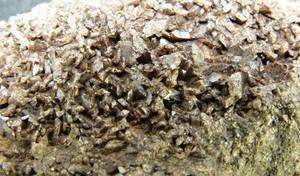 Description: As small inclusions in a stringer of axinite in the hornfels. Indentity confirmed by Prof R. Scrivener. 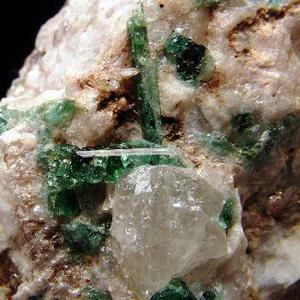 Description: Green crystal plates ( < 2 cm) with feldspar. Reference: http://johnblanchard.net/index.php/some-sites/226-meldon-aplite-quarry-sssi; von Knorring, O. and Condliffe, E. (1984) On the occurrence of niobium-tantalum and other rare-element minerals in the Meldon aplite, Devonshire. Mineralogical Magazine, 48(348), 443-448. Reference: von Knorring, O. (1951) A Note on the Occurrence of Columbite in the Meldon Aplite, Devonshire. Mineralogical Magazine, vol. 29, n° 215, 799-801.; von Knorring, O., and Condliffe, E. (1984) On the occurrence of niobium-tantalum and other rare-element minerals in the Meldon aplite, Devonshire. Mineralogical Magazine, vol. 48, n° 348, 443-448. Reference: Rumsey, M.S., Ryback, G., and Tayler, R. (2011) Danburite from Meldon Quarry, Okehampton and other UK localities. Journal of the Russell Society 14:26-32. Reference: Chaudhry, M.N. 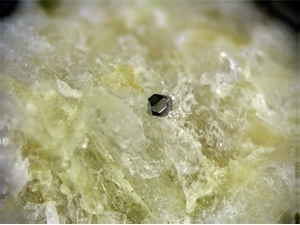 and Howie, R.A. (1976) Lithium Tourmalines from the Meldon Aplite, Devonshire, England. Mineralogical Magazine vol. 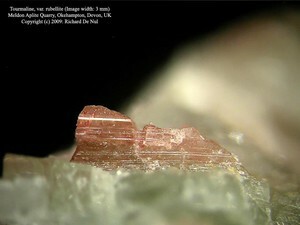 40, n° 315, 747-751 [the analysis of 4 "rubellite" and 3 "verdelite" specimens from the locality identified both "colour varieties" as elbaite]. ; Embrey, P.G. (1978) Fourth supplementary list of British minerals. Mineralogical Magazine, vol. 42, n° 322, 169-177.; von Knorring, O., and Condliffe, E. (1984) On the occurrence of niobium-tantalum and other rare-element minerals in the Meldon aplite, Devonshire. Mineralogical Magazine, vol. 48, n° 348, 443-448. Reference: von Knorring, O., and Condliffe, E. (1984) On the occurrence of niobium-tantalum and other rare-element minerals in the Meldon aplite, Devonshire. Mineralogical Magazine, vol. 48, n° 348, 443-448.; Rumsey, M.S., Ryback, G. and Tayler, R. (2011) Danburite from Meldon Quarry, Okehampton and other UK localities. Journal of the Russell Society 14:26-32. Reference: von Knorring, O., and Condliffe, E. (1984) On the occurrence of niobium-tantalum and other rare-element minerals in the Meldon aplite, Devonshire. Mineralogical Magazine, vol. 48, n° 348, 443-448.; Ryback, G., Nawaz, R. and Farley, E. (1988) Seventh Supplementary List of British Isles Minerals (Irish). Mineralogical Magazine, vol. 52, n° 365, pp. 267-274. Reference: McLintock, W.F.P. (1923) On the occurrence of petalite and pneumatolytic apatite in the Meldon aplite, Okehampton, Devonshire. Mineralogical Magazine, vol. 20, n° 103, 140-150.; von Knorring, O., and Condliffe, E. (1984) On the occurrence of niobium-tantalum and other rare-element minerals in the Meldon aplite, Devonshire. Mineralogical Magazine, vol. 48, n° 348, 443-448. Reference: McLintock, W.F.P. (1923) On the Occurrence of Petalite and Pneumatolytic Apatite in the Meldon Aplite, Okehampton, Devonshire. Mineralogical Magazine, vol. 20, n° 103, 140-150.; von Knorring, O., and Condliffe, E. (1984) On the occurrence of niobium-tantalum and other rare-element minerals in the Meldon aplite, Devonshire. Mineralogical Magazine, vol. 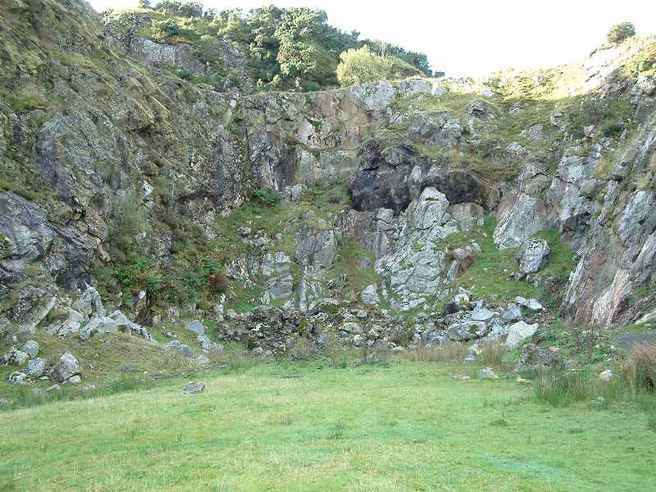 48, n° 348, 443-448.; Rumsey, M.S., Ryback, G. and Tayler, R. (2011) Danburite from Meldon Quarry, Okehampton and other UK localities. Journal of the Russell Society 14:26-32. 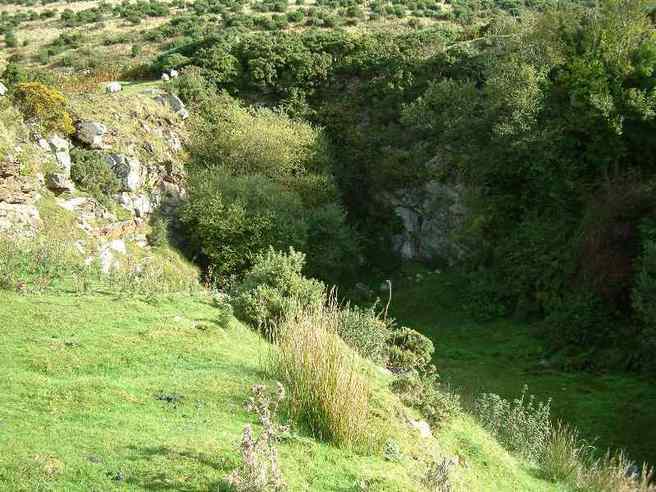 Reference: http://www.mindat.org/mesg-7-92300.html; http://johnblanchard.net/index.php/some-sites/226-meldon-aplite-quarry-sssi; Embrey, P.G. (1973) Memorial of Arthur William Gerald Kingsbury. 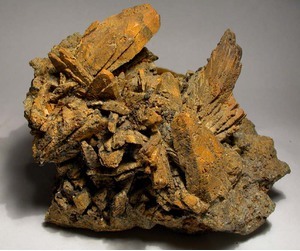 American Mineralogist, 58, 372-375.; von Knorring, O. and Condliffe, E. (1984) On the occurrence of niobium-tantalum and other rare-element minerals in the Meldon aplite, Devonshire. Mineralogical Magazine, 48(348), 443-448 (referring to Kingsbury). 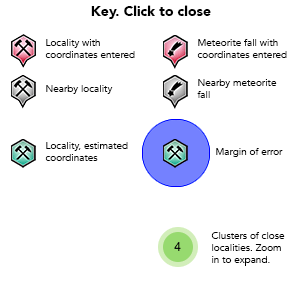 Description: Erroneously reported by Kingsbury; see http://www.mindat.org/mesg-7-92300.html. Worth, R.H. (1920) The Geology of the Meldon Valleys near Okehampton, on the Northern Verge of Dartmoor. Quarterly Journal of the Geological Society of London, 75, 77-114. McLintock, W.F.P. (1923) On the occurrence of petalite and pneumatolytic apatite in the Meldon aplite, Okehampton, Devonshire. Mineralogical Magazine, 20(103), 140-150.
von Knorring, O. (1951) A note on the occurrence of columbite in the Meldon aplite, Devonshire. Mineralogical Magazine, 29, 799-801. 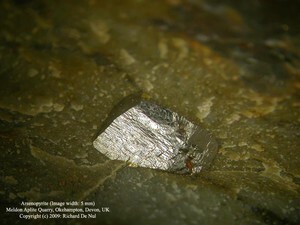 Dearman, W.R. and Claringbull, G.F. (1960) Bavenite from the Meldon aplite quarries, Okehampton, Devonshire. Mineralogical Magazine, 32, 577-578. Chaudhry, M.N. and Howie, R.A. (1969) Axinites from the Contact Skarns of the Meldon Aplite, Devonshire, England. Mineralogical Magazine, 37, 45-48. Moss, A.A., Fejer, E.E., and Embrey, P.G. (1969) On the X-ray identification of amblygonite and montebrasite. 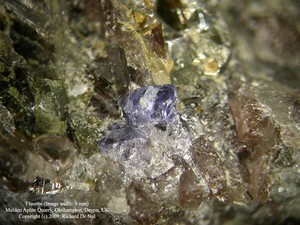 Mineralogical Magazine, 37, 414–422. Chaudhry, M.N. 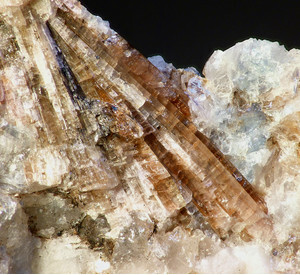 and Howie, R.A. (1970) Topaz from the Meldon aplite, Devonshire. Mineralogical Magazine, 37, 717-720. Chaudry, M.N. 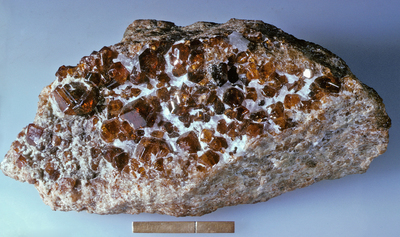 (1971) Feldspars from the Meldon aplite, Devonshire, England. Mineralogical Magazine, 38, 179-185. Chaudhry, M.N. and Howie, R.A. (1973) Lithium aluminium micas from the Meldon aplite, Devonshire, England. Mineralogical Magazine, 39, 289-296. Chaudhry, M.N. and Howie, R.A. (1973) Muscovite (gilbertite) from the Meldon Aplite. Proceedings of the Ussher Society, 2, 480-481. Chaudhry, M.N. 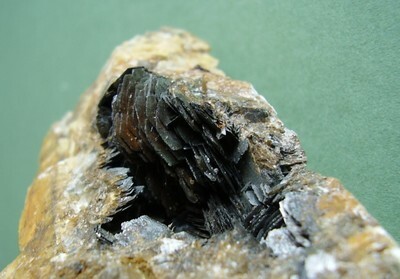 and Howie, R.A. (1976) Lithium tourmalines from the Meldon aplite, Devonshire, England. Mineralogical Magazine, 40, 747-751. Symes, R.F. 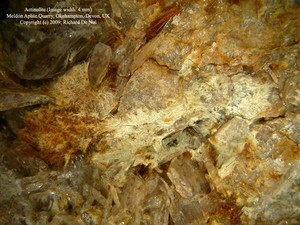 (1977) Datolite and apophyllite from the Mendips. 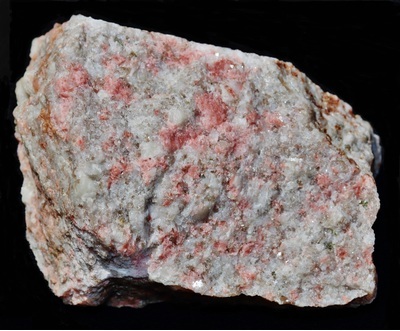 Mineralogical Magazine, 41(319), 410-411 (referring to datolite and apophyllite from the Meldon Aplite Quarry). Chaudhry, M.N. and Mahmood, A. (1979) Type of distribution of the minerals of the Meldon aplite, Devonshire. Mineralogical Magazine, 43, 307-309.
von Knorring, O. and Condliffe, E. (1984) On the occurrence of niobium-tantalum and other rare-element minerals in the Meldon aplite, Devonshire. Mineralogical Magazine, 48(348), 443-448. Drysdale, D.J. 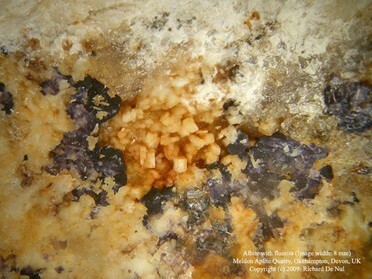 (1985) Petalite and spodumene in the Meldon Aplite, Devon. Mineralogical Magazine, 49, 758-759. [NOTE: this paper requires careful reading, as Kingsbury samples were used; Andy Tindle]. Ryback, G., Nawaz, R., and Farley, E. (1988) Seventh supplementary list of British Isles minerals (Irish). Mineralogical Magazine, 52(365), 267-274. Drysdale, D.J. 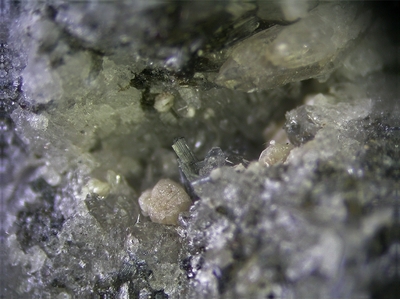 (1991) Lithium aluminium silicate minerals and pollucite from Meldon, Devon and San Piero in Campo, Elba. Papers of the Department of Geology, University of Queensland, 12, 286-293. [NOTE: this paper requires careful reading, as Kingsbury samples were used; Andy Tindle].